With more than 50 million active blogs on the Web covering everything from architecture to zombies, finding a way to stand out can be a bit challenging — not to mention intimidating, overwhelming and scary. While the following Pennsylvania-based bloggers may have had different expectations and goals when they started out, they all have one thing in common: They took a risk and stuck with it. Six years ago, Marian Parsons began blogging on a whim. 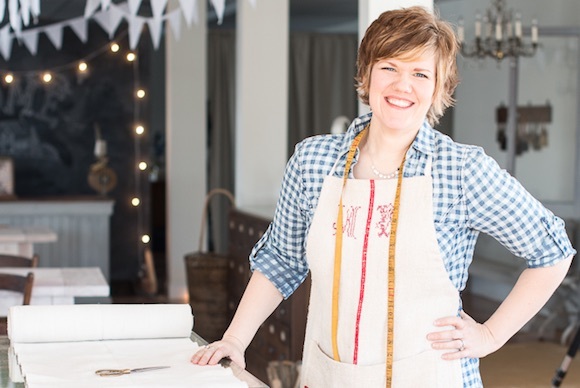 She had just launched a small painting and antique business in Adams County and thought a blog could help her advertise the business and connect with other do-it-yourselfers and bloggers. Just like that, Miss Mustard Seed was born. Determined to make the site a valuable resource, Parsons focused on providing a mix of tutorials, practical advice, encouragement and a dose of reality — covering everything from making slipcovers to starting a creative business to decorating tips and tricks. Since her first post on Miss Mustard Seed, the blog has earned more than 23,000 subscribers and more than one million page views per month. Her business, Mustard Seed Interiors, LLC, has also grown. After just three months of blogging, sales had tripled and continue to grow. In 2012, she launched her own line of milk paint — an all-natural paint containing milk protein (casein), limestone, clay and natural pigments — now carried in more than 300 retail locations in the United States, Canada, Europe, Australia, Dubai and Malaysia. The success of her blog and business has led to writing opportunities with Country Living and HGTV, and in 2012 she published her first book, Inspired You. Looking ahead, Parsons would like to become more active with video tutorials and expand her presence on YouTube. “One of the biggest things I've learned is that I can dream a lot bigger than I thought I could,” she insists. Born with a disease called Spinal Muscular Atrophy, 22-year-old Shane Burcaw of Lehigh County has spent nearly his entire life in a wheelchair. 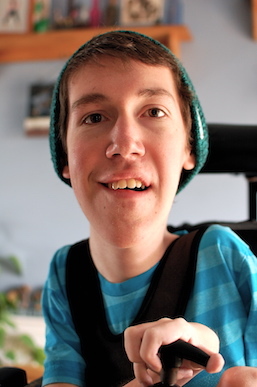 Three and a half years ago, he created a blog, Laughing at my Nightmare, to share his story. As it turned out, the blog was far from a terrible idea. In fact, it became popular almost overnight, gaining hundreds then thousands of followers per day. After several months, Burcaw realized that there was something more to his message than just silly laughs — these stories were helping people. That inspired him to launch Laughing At My Nightmare, Inc., a nonprofit that raises awareness and money for families affected by muscular dystrophy. “The blog has opened up innumerable opportunities for me, allowed me to meet so many incredible people, and really, is the biggest reason that my nonprofit is successful today,” he argues. At the end of 2014, Burcaw published a memoir based on the blog. Since then he has been busy attending book signings and giving interviews all over the world, including one with the biggest radio station in Columbia, South America. When it comes to maintaining his blogging success, Burcaw tries to post consistently, and to market himself effectively. He's also never strays from his “voice,” which he admits is often crude, sarcastic and critical. York County's Shawn Fink can't remember the last time she went a day without writing something. She started blogging eight years ago, shortly after her twin girls were born and while she was working full-time in a government job. Recognizing the potential to engage even more readers, Fink quit her full-time job and created Abundant Mama. The site featured her blog, as well as a free 30-day e-course on how to have a meaningful summer. To her surprise and excitement, 400 people signed up almost immediately. To compliment the course and generate some revenue, she wrote an e-book called The Playful Family for people to purchase on the site. Always looking for ways to engage her readers, Fink regularly features free resources on her site, from the “10 Habits of Highly Effective Mamas” to the “Rise and Shine Challenge,” which to date has drawn in 8,000 participants. Nine years ago, when Jim Cheney and his wife took a trip through Europe, he discovered not only a passion for travel but for blogging about his adventures. Then, while traipsing across Asia, Europe and North America, he started his first travel blog Tripologist.com to share his knowledge of all the places he had visited. Excited to get out and explore the Keystone State, Cheney began researching things to see and do. He realized that no one else was blogging professionally about Pennsylvania. 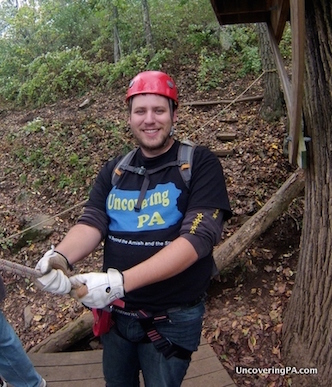 So in 2013, he started his second travel blog, UncoveringPA.com, providing honest and in-depth information about places to visit in the Commonwealth. Though it took about six months for the blog to build an audience, traffic has since boomed — visits are up more than 7,000 percent year over year. Thanks to UncoveringPA, Cheney has earned freelance writing and photography jobs, and recently released Choose a Way: Philadelphia, the first in what he hopes will be a long line of travel e-books. He also provides social media consultations, helping Pennsylvania businesses understand the world of Facebook and blogging. Before launching Stouts and Stilettos three years ago, Tierney Pomone had to give herself a little pep talk. 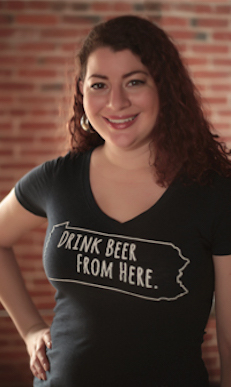 The Harrisburg resident had recently discovered the world of craft beer and thought it would be fun to write about her experiences exploring new flavors, homebrewing, festivals, bars and brewpubs. More importantly she wanted to provide a friendly, approachable environment for women who wanted to discuss all things beer. Since then she has brought on three additional bloggers to help generate quality content. Over the past year, more and more people have been recognizing her when she's out on the town, and more breweries have been getting in touch. She also began hosting local beer events to engage readers. Inspired by similar celebrations across the country, Pomone recently collaborated with three other local women on Harrisburg Beer Week, happening April 24 through May 2. KARREN JOHNSON is a freelance writer and stay-at-home mom with more than 15 years experience covering topics ranging from business and healthcare to parenting and education.